The final entry in Stieg Larsson's Millenium trilogy is a victim of its own plot or placement as being the third film. It lacks the punch and excitement of the first two films and is a more talky and stationary film, something the conclusive film of a series of this nature should not predominantly be. It picks up where the last one left off, with Lisbeth Salander being life-flighted to the hospital after the severe beating from her mongrel half-brother and insidious father, who now unfortunately is in the same hospital as she is. While she recuperates and prepares for trial where she is accused of the attempted murder of her father, her journalist friend Mikael is preparing her defense in the latest issue of his publication while trying to uncover the truth behind the group that backs her father and wants her dead. The Girl Who Kicked the Hornet's Nest isn't a bad film. It has some of the pacing, excitement, and tension (particularly in the end) that was indicative of the first two films. Due to the way the story is structured, it just isn't able to keep up with the first two films of the series. I liked the No Country For Old Men foes Javier Bardem and Josh Brolin presenting in white suits. It shouldn't be a surprise that Aaron Sorkin and David Seidler, winners of the two writer's awards, gave two of the best speeches. Odd couple and costars Helen Mirren and Russell Brand were amusing presenters with their French translation bit. Why didn't Monique and Christoph Waltz show up to present the supporting awards? OK so maybe it wasn't as bad as I first thought, when I look over it. 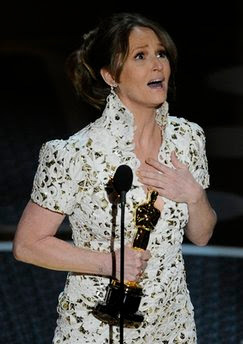 There were many moments, wins, and speeches I enjoyed but I do think I got it write when I said underwhelming. All you can hope is that next year's show is an improvement. 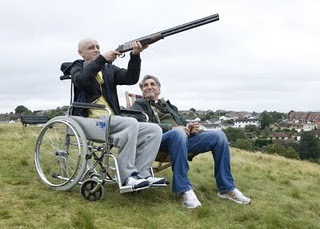 When making a comedy, one of the most difficult things to do is to ensure that the film has repeat value and is able to generate laughter on subsequent viewings. Borat is one of those movies that I was completely familiar with, and watched it over and over upon its release until its novelty wore off. Now, a few years later, I find it still retains its comedic value and succeeds entirely as a mockumentary. It follows Borat Sagdiyev, one of Sacha Baron Cohen's alter egos, as he travels to America to make a film about our country. There, the likable but clueless reporter gets into loads of hot water and becomes sidetracked by Pamela Anderson, and becomes obsessed with tracking her down. Directed by Larry Charles who specializes in this kind of humor (see Curb Your Enthusiasm), Borat is a tasteless film with wonderful comic timing and many hilarious moments. Cohen's performance is ingenious and his improvisation is impeccable. I did think he goes too far on several (strike that many) occasions and the movie doesn't work as well when it wants to act as satire or serve as social commentary. Still, it is a hilarious movie and more worthwhile then anything offered up by the Apatow crew lately. Two-Lane Blacktop is a minimalist existential road movie that offers very little in terms of plot, and is intended have have the viewer reflect rather than provide answers, and I think this is the right approach to take for a road movie. The bare bones plot revolves around two aimless hippie race freaks played by musicians James Taylor (a personal favorite I might add) and The Beach Boys' Dennis Wilson starring in their only feature film roles (Taylor had a cameo in Funny People but I'm not counting that). The duo pick up a hitchhiking young woman and meet a talkative know-it-all, wonderfully played by Warren Oates, and challenge him to cross country race with each side's cars at stake. 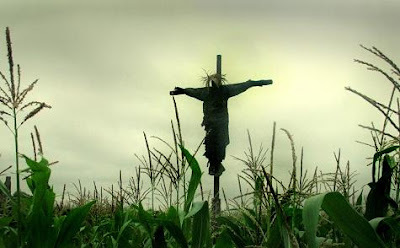 The film is wonderfully directed by Monte Hellman, with wonderful shots showcasing the countryside and the road to compensate for the lack of plot development. It may not be to everyone's taste, but I found Two-Lane Blacktop to definitely be worth the ride. Kate is a ball of guilt. She feels guilty about her furniture business which she successfully runs with her husband where they buy their items from recently deceased people and resell them. She feels bad about their plans to buy an apartment from an elderly neighbor when she dies, so Kate befriends her and her two granddaughters to alleviate the guilt. She even feels bad enough for homeless people she encounters on the street that she gives them absurd amounts of cash. Please Give is a talky indie film from writer/director Nicole Holofcener and is one of those rare entries in its genre that works and does not come off as officious. I really liked the work of the actors, particularly Catherine Keener and Oliver Platt as the furniture dealing couple and Rebecca Hall as one of the granddaughters. Please Give offers us a humorous look at flawed characters we all should be able to identify with. A teenaged girl and her young brother are en route to a picnic in the Australian Outback when the car runs out of gas. They decide to have their picnic there and soon thereafter the stressed out father has decided to set their vehicle on fire and take his own life, leaving the two children to make their way in the wild which they manage to do so surprisingly well at first. The girl, prim and proper, takes charge and guides the young boy, who doesn't seem to understand the gravity of the their situation. 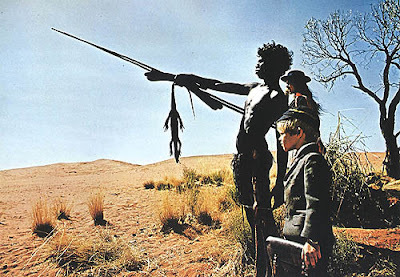 After a few nights they luckily meet an Aborigine boy who is out on his Walkabout, which as the film explained in the opening credits, is a right of passage into manhood where upon the age of sixteen a boy must journey into the wilderness and make do with nothing. 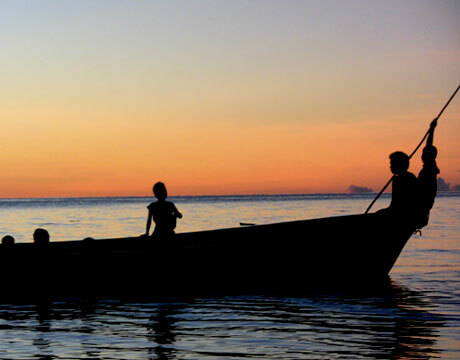 The Aborigine befriends the siblings and guides them along their way. Directed by steady helmer Nicolas Roeg, I would best describe Walkabout as an experimental film as Roeg experiments with different camera shots, angles, styles, different music, sounds, and even themes comparing life on the Outback to domesticated living. Above all it is a beautiful looking film with lush colors and wildlife closeups. This film could easily air on The Discovery Channel and is the kind of film that you let wash over you. As I slowly but surely make my way through the Harry Potter films, I now arrive at the Goblet of Fire, the fourth installment in the series, and if one thing can be said about these movies is that they are magnificent looking wonders containing both state of the art special effects and wonderful cinematography. With Mike Newell taking the directorial reins, he brings us a brighter looking film than the previous installment, filled with beautiful shots of the mountainous countrysides. In addition to its wondrous look, the casting is also a boon to the film and I loved seeing the addition of Brendan Gleeson and Ralph Fiennes, along with the return of the veteran actors. As far as plot goes, Harry and the gang are in their fourth year at Hogwarts while Harry is having sinister nightmares of the evil Lord Voldemort and his presence is feeling ever the more palpable. 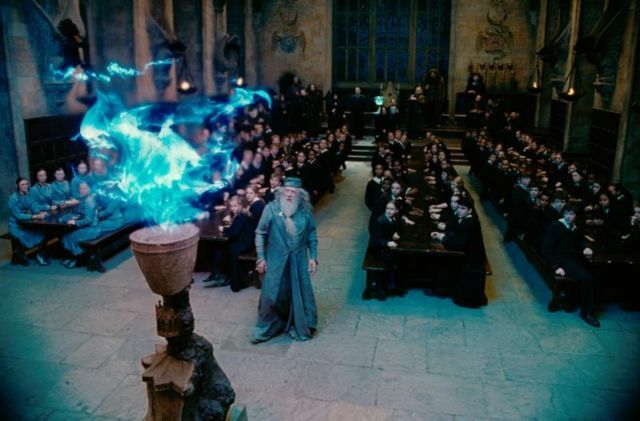 It is also time for the Triwizard Tournament and Harry becomes involved due his name mysteriously appearing from the goblet of fire. I had my usual problems with the story in that the creators seem to think some elements are more creative then they actually are, but these quibbles are not that big of a deal and not likely to change so I may stopping griping about it. All and all, Harry Potter and the Goblet of Fire is entertaining fare that offers enough to appeal to most moviegoers. After a mediocre animated program and a less than stellar documentary session, I was not exactly eager in anticipation going into the Live Action Oscar Shorts program. However, when the fifth short had ended, I was more than pleased to have been in attendance. This years nominees were all well made, through a different range of styles. Three of the five were made in the UK and further emphasize how much I enjoy the sensibilities of that region of the world. Here are a brief synopsis and review of the five shorts in the program. This short focused on two young boys preparing for the sacrament of Reconciliation and in the process playing a prank that leads to unexpected tragic results. The film is beautifully shot in tinted colors along the countryside and the young actors handle the material quite well. A teenager in the cancer ward is approached by one of those Make-A-Wish groups, and makes an unusual wish (which is not so unusual for a sixteen year old). After being denied his request by the group, he then goes about trying to carry out his wish while associating with his priest friend. This material could have been handled horribly but I felt it was done in a amiable way. In 1994 Burundi, a busload of people from various backgrounds is stopped by a militant group and separated into groups of Hutus and Tutsis, the latter of which they wish to eliminate. By twisting up the militants in stories of their diverse heritages, each individual is able to save themselves and in turn show the absurdity of racism. This film, again, was well shot even if its story was a bit redundant. A young boy has affections for his teacher, buys her a ring, and proposes. When he bumps into to her and her louse of a boyfriend on the street, he becomes jealous and challenges him to a fight to the death. This was a delightful wonderfully handled short and may favorite of the program. 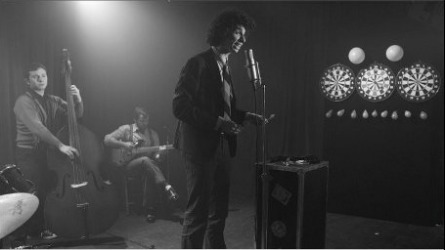 A lounge singer vies for the affections of his bandmate who is in love with his other bandmate/best friend. He prays for help in the matter, and in return he receives a box of darts which induce love upon whomever is stricken by them. I was really drawn to the look of this film, which was shot in black and white, and it made me long for more usage of that medium in modern day movies. Cold Souls is a prime example of what good acting can do for a film. Take the plot for example: Paul Giamatti plays an actor named Paul Giamatti who is struggling with his current role in Chekov's Uncle Vanya. To have the weight lifted, he has his soul extracted by a company he hears about in the New Yorker. Soon, he again feels troubled from being soulless, and has another soul implanted, upon whence he feels that one too intense and decides to retrieve his original soul, only to find it has been stolen and sold by Russian soul traffickers. Reading this synopsis, your initial reaction may be "uh-oh" or "not my taste", but the way it is handled by writer and director Sophie Barthes is too play it as straight as possible and Giamatti is simply terrific (as usual) in the lead. 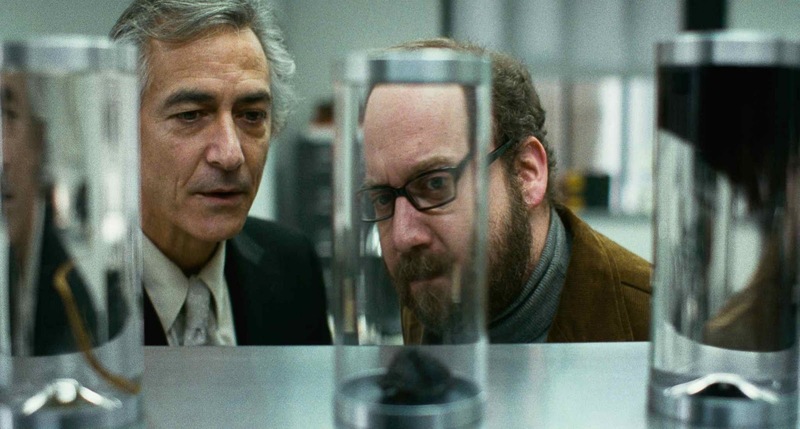 Emily Watson lends her hand as his concerned wife and David Strathairn is wonderful as his soul extracting doctor, and the several scenes Giamatti and Strathairn share together are simply sublime. I did feel this material was stretched out a little bit, and the fun begins to die towards the end a bit as the plot peters out. Kenny Waters has been unfairly sent up the river, but I don't think anyone would confuse him with Andy Dufresne. Kenny is crass and short tempered, though not unlikable, and I think it is to this movie's benefit that they present him in this fashion. Conviction is actually the story of his sister's long and arduous legal struggle to clear his name and release him from custody. I liked the way the film unfolded, jumping from past to present. Director Tony Goldwyn has made a fine looking film which contains some fine aerial shots of the Massachusetts landscape which are shown during the transitional scenes. Hilary Swank is effective though unremarkable as Betty Ann Waters and her dogged determination for her brother's cause comes off as both moving and a bit too much. Sam Rockwell once again shows why he is one of the most underappreciated actors, and makes Kenny's likability as well as his dark side shine through. Juliette Lewis, Peter Gallagher, and especially Melissa Leo shine through in supporting roles. Great films improve with subsequent viewings and The Social Network is that and shows improvement upon my second viewing. The film is a towering achievement for David Fincher, Jesse Eisenberg, and Justin Timberlake, but overall Aaron Sorkin should be commended for his screenplay which, thanks to great dialogue and wonderful plotting, stands as one of the great scripts. With the Oscars about a week away, The King's Speech is the favorite for film of the year (and my favorite), but The Social Network is a generation defining film that plays out a modern day tragedy and is surely a film of the times. The film opens at a campus bar with Mark Zuckerberg on a date which seems more like a class lecture, as the girl struggles to keep up with his barrage of facts. After insulting her and being told off, he retreats to his dorm room where he simultaneously blogs about his failed rendezvous while creating a complex online program, which he has up and running within a matter of hours. This will be the most primitive model for Facebook. When this project was announced a few years ago, I had more than a few reservations. How could they make an interesting film about a networking site. However, as the cast and crew began to form, it was clear the film would be of substance. It is directed by David Fincher, who has established himself as one of the great visual directors. His involvement elevates the project as he beautifully captures the Harvard campus, and particularly several crew races on the Charles River. The screenplay by Aaron Sorkin (A Few Good Men, The West Wing) is based on the nonfiction book The Accidental Billionares and it is a marvel as it blends complex dialogue with a flashback narrative. I was reminded of Fincher’s own Zodiac where we were assaulted with loads upon loads of case facts (computer jargon and legal speak with this film) which we could not fully comprehend upon an initial viewing, but felt we did anywhere. 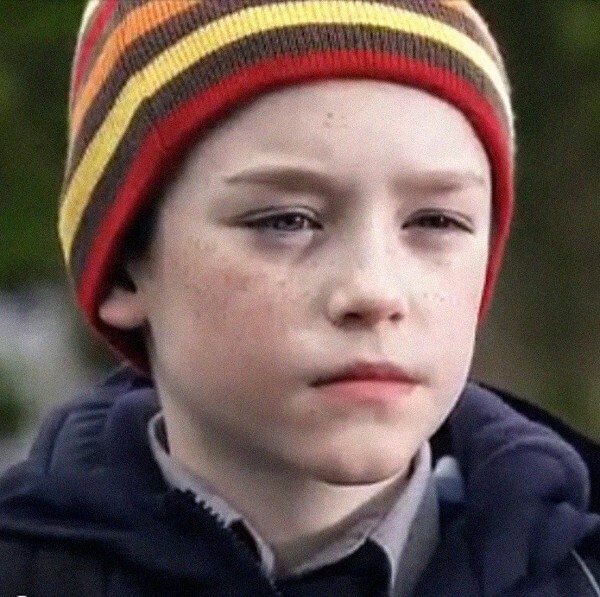 The film is wonderfully cast and for the first time that I can think of, it can be safely said that we have a great acting showcase for young actors. Jesse Eisenberg, a dead ringer for Zuckerberg, plays him as if he actually were a computer program with responses to every situation but maybe lacking basic human emotion and understanding. The results are spectacular. Supporting players also shine. Andrew Garfield plays his friend, Facebook cofounder, and CFO. Justin Timberlake plays Napster founder and snake Sean Parker. 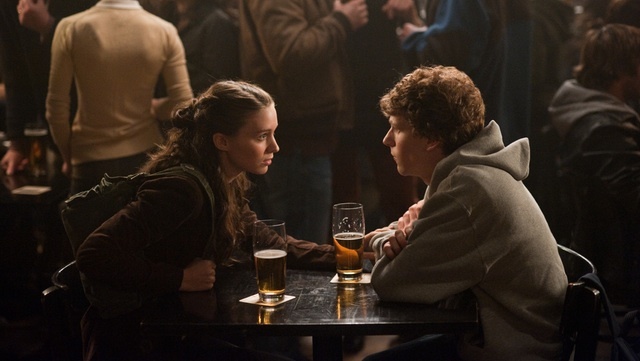 Rooney Mara is wonderful in a small role as Zuckerberg’s incorruptible date in the opening scene. It is a wonder watching these actors convincingly play smart and well established characters. The Social Network is a wonder of a film in so many ways, yet by the time it ended I was left wanting more. It ends on a clever note, but I was hoping the film would have gone deeper and further explored the tragedy of Zuckerberg’s character. Although it could have been more ambitious in scope, this is one of the year’s best films. This year I was able to catch the Oscar Documentary shorts, a program which is not shown in Cleveland. The program runs at a full three hours and twenty minutes long, and acts a virtual world tour, showing shorts set in places ranging from Tel Aviv to Papua New Guinea. These shorts also navigate familiar documentary terrain, covering heavy subjects such as war and pollution. I will say outright that although they cover important issues, this program is not the funnest one to sit through (though I wouldn't call them boring). This short followed a man's quest to help eradicate terrorism following a bombing at his wedding in 2005 that left 25 people dead. Here he interviews the father of one of the bombers and a member of the group responsible while educating young children trained to be jihadists about their actions. On an island near Papua New Guinea, the waters have risen too high due to global warming and have caused the local tribe to relocate. 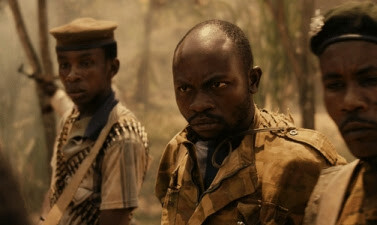 The film followers their struggles to move to a neighboring land and coexist with the people they once were at war with. 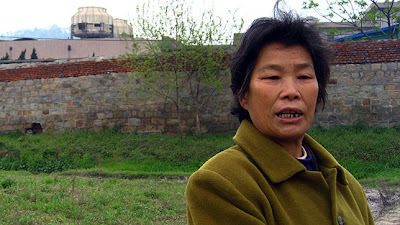 The short, filmed over four years, shows a Chinese town's efforts to shut down a factor polluting the area. A young girl just home from Iraq experiences post traumatic stress syndrome and begins to use her art as an outlet to help her deal with the horrors of war. A Tel Aviv, Israel school takes in children of all different backgrounds and languages and unites them by teaching them Hebrew and provides all day care. 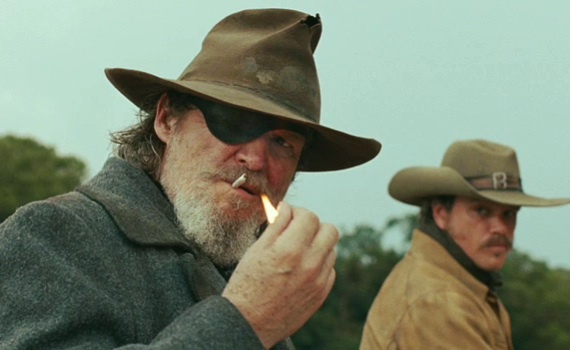 I caught True Grit again tonight and I found it to be an improvement over a film that I thought was great the first time. This time I was able to view Jeff Bridges's performance without thinking of The Duke and was able to see just how great of a performance it really is. Haille Steinfeld's performance stood out again, and I believed her entirely as a precocious (emphasis on precocious). Matt Damon's work is fine and Josh Brolin again surprisingly shows versatility in a small role. I also wanted to bring attention to Barry Pepper's performance, which has gone unnoticed, which seems to be an imitation of Robert Duvall who originally held the role although he brings his own take on a snaky bad guy. The dialogue and direction by the Coens is pitch-perfect and Roger Deakins's cinematography should be commended as well, and many beautiful scenes remained etched in the viewer's mind. 12/22/10 review With True Grit, the Coen Brothers have (surprisingly) crafted an old fashioned entertainment that distinguishes itself from the beloved 1969 original. It also functions as an acting showcase for all involved. It tells the story of a young girl (newcomer Hailee Steinfeld, excellent) seeking the aid of a U.S. Marshall (Jeff Bridges) in order to apprehend the marauder (Josh Brolin) who killed her father in cold blood. Along the way they reluctantly join forces with a Texas Ranger (Matt Damon) who also has his reasons for bringing the target to justice. As mentioned, the film comes off as an old-fashioned Western with the cast speaking in a slack-jawed manner. Bridges does not do a John Wayne impression, and successfully makes the role his own. It is also worth mentioning Roger Deakins' beautiful landscape photography. In the end we are left with a wonderful throwback film which may leave us wondering why the Coens chose it as their latest project. It opens up with a man and his wife on a plane which is about to land in Berlin. There for a conference, the camera wonderfully captures the city as they make their way to the hotel by taxi, and we in the audience think this may end up being a halfway decent film. Then the plot becomes set in motion and you realize that this is going to be one of those silly films where little makes sense. Upon arrival at the hotel, the man realizes he forgot an item at the hotel. He jumps in another cab and hightails it back to the airport, yet along the way he is involved in an accident which sends the cab in a river and causes him to go into a coma after being rescued. When he comes to a few days later, no one, not even his wife, seems to remember who he is. The movie plods on from there with poor dialogue until it arrives at one of those giant inane plot twists which the studios and audiences have inexplicably grown so fond of. This all leads to a violent, pointless ending which contains one of the worst (or funniest) finishing lines I can remember. The film is not entirely without merit. The look of the movie is crisp and clean and some of the action scenes are handled moderately well. Liam Neeson is always affable though when did he decide to become an action star. Also fine performers like Frank Langella and especially the German veteran actor Bruno Ganz keep the ship from sinking. The first few months of the year are known for the time when Hollywood unloads its stinkers on the public. You would think that good fare at the box office would be a call to get out of the cold weather. Still with the junk released lately, I think I just may go into multiplex hibernation. It must be difficult to write an intriguing screenplay regarding recent historical events because many people already know how the story plays out and because more people are familiar with the story, they are more likely to scrutinize the facts. Still, Peter Morgan has managed to churn out some of the most fascinating screenplay regarding recent events (Frost/Nixon, The Last King of Scotland). 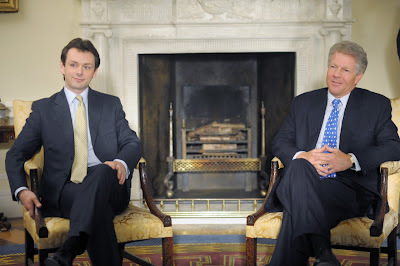 This film is the the final film in his Tony Blair trilogy, following The Deal and The Queen (excellent) all starring Michael Sheen, who seemingly only acts in films with Morgan screenplay(see The Queen, Frost/Nixon, and The Damned United, all excellent performances and films). This story revolves around the former Prime Minister and for U.S. President Bill Clinton's title bond which was formed when the two met on the verge of Blair's election, and Clinton decided to back his like minded Labor Party candidate. The film charts their relationship through various crises including opposition to the IRA in Northern Ireland, the Kosovo bombings, and for the bulk of the film, The Monica Lewinsky Scandal. I liked how the film used the two men and their wives as contrasts to each other: Clinton, the good old boy, down to earth and somewhat crude while Blair is the proper and slightly bemused British gentleman. The wives provide contrasts as well with Hillary playing the more dominant, businesslike figure and Cherie Blair plays the more motherlike character. The acting is fine, though it ranges. Dennis Quaid succeeds, though goes for more of an impersonation of Clinton rather than an embodiment. Hope Davis and Helen McCrory successfully fill the shoes of Mrs. Clinton and Mrs. Blair, respectively. Lastly, Sheen again wonderfully portrays Blair capturing all his inflections and mannerisms, knowing when act bemused and knowing when to act stern. The Special Relationship is a nice recreation of what may have gone on behind closed doors during the not so distant Clinton/Blair years. It opens with Hitchcockian titles and Bernstein like music and proceeds into a film with a premise the master himself may have admired: a man is buried in a coffin with only a cellphone and a lighter. This will be the entire show, the actor and the box. This is a tough acting challenge, and I was a little skeptical when I hear Ryan Reynolds would be starring (although the idea of watching him squirm and struggle for 90 minutes is not without its appeal). However, Reynolds is not the problem, although he is not particularly strong. The problem lies with constant contrivances in the plot (though the end is somewhat daring) and the need of the filmmakers to politicize the film (it takes place in Iraq). It is effective in generating some tension by showing the frustrations associated with bureaucracy and the camera work does its best with limited space. 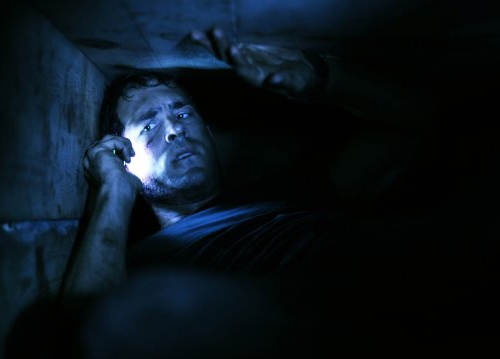 I was reminded of 127 Hours, another film focused on one immobilized actor, and although they were not quite the same story, how that film was able to do so much more with just as little. For the second year in a row, I attended the shorts program at Cedar Lee, and again it was an an interesting and diverting display, for this particular segment, showcasing some of what has to be the best animation has to offer. The program showcased the five films nominated for an Academy Award this year followed by two "highly commended" films which were also in the running for a nod. I have included the actual shorts themselves, or clips/trailers depending on availability. This short showed a traveler making his way through the title country and taking part in a wide range of events indicative of the culture, ranging from a meal to a funeral. 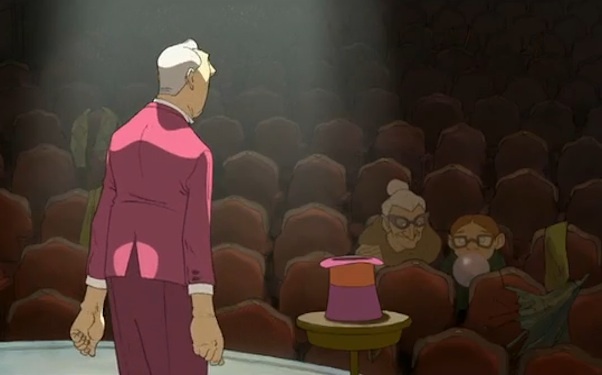 The characters in the foreground were animated while the background remained stationary, and this creates a neat effect. This short was presented as a mock informative video, the type which was shown in grammar school, and touts all the "benefits" of polluting. It is done in a similar style to the cartoon by Trey Parker and Matt Stone in Bowling for Columbine and is probably the least ambitious and least impressive entry of the lot. 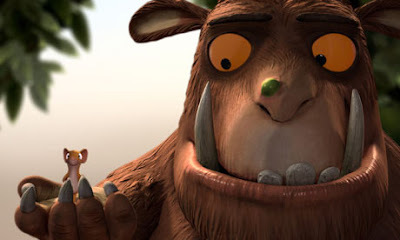 The Lost Thing tells the story of a young man who finds a unique object with nowhere to go, and tries to find a home for it. The animation is unique and visually inventive but the story to unremarkable beyond that. I had seen this one already, shown before Toy Story 3 (original review here), and is what I believe a short should be. Coming from the Disney/Pixar Studio, it reminded me of the old Looney Tunes and Disney shorts from back in the day and contains more of a concept than a plot. The story features two personifications, one of day and one of night, and the two meet each other, fight, and eventually become friends. This is a great short as well. I'm not really sure I understood this one, but the animation was beautiful and wonderfully captures the German Alps. The story had something to do with a strongman scaling a mountain with an old woman tied to his back so she could witness the breathtaking view before her passing. The title pretty much explains it. This was amusing and done with simple animation. The Illusionist comes from two brilliant French minds. The first is Sylvain Chomet and his animation studio who previously brought The Triplets of Belleville to the screen. The second is the late Jacques Tati, the director and star of the Mr. Hulot and others, whose script Chomet works from. The story takes place in 1959 and revolves around a failing magician in Paris who is forced to retreat to London, where he again fails to find an audience, losing them to the latest influx of rock musicians. He once again departs for Edinburgh, Scotland and on his first night in a small rural town outside of the city, he finds the audience in a local bar to love him. He soon draws the affections of a young girl, who stows away in the train to Edinburgh when he goes there to perform. What follows, specifically the details of their plutonic relationship, is bittersweet. Many of the elements reminded me of Mr. Hulot's Holiday. The magician is a Hulot-like character, tall, lanky, and clumsy. There are also some nice slapstick elements, which Tati was a master of. Finally, the bittersweet nature of the story is also indicative of Tati. Chomet also recreates the charm and the oddness of his previous feature. Again, we have almost no spoken dialogue, just occasionally some grumbling and a few words. The story moves at a languid pace, but the hand drawn animation is excellent and serves as a reminder that not all animated movies need to be made with a computer or seen with dark 3D glasses. The opening of Al Pacino's bio on IMDb refers to him as "one of the greatest actors in all of film history", but it seems like many regard him as over-the-top. 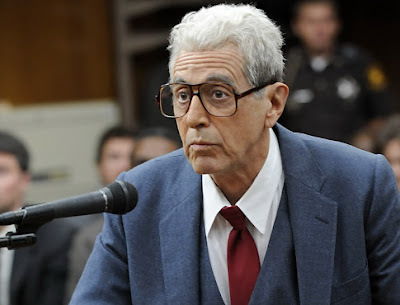 In You Don't Know Jack, the second HBO series where he has played a largely reviled figure in recent American history (the other was Roy Cohn in Angels in America), reminds us what a refined actor he is in his portrayal of Dr. Jack Kevorkian. The film begins with the pathologist witnessing the suffering of patients in a cancer ward, and devising the idea of his "mercy machine" to aid in the deaths of his suffering. With his friend Neil (John Goodman) and sister Margot (Brenda Vaccaro) and with the guidance of a group leader (Susan Sarandon) who shares his belief, he begins recruiting, interviewing, and administering lethal injections, all the while, with the help of his attorney (Danny Huston) battling the Detroit courts that seek to incarcerate him. Directed by the veteran Barry Levinson, You Don't Know Jack is an engaging film that takes an objective view of a controversial subject, siding with Kevorkian. I think this is the right approach, a subjective view would have come off more like a documentary. I did think the film suffered from the constraints of the biopic. I liked how it seemed no exaggerations were made in the telling, but the story hurts from redundancy and the described plot above it about all we get over and over, aside from a few side dramas. Still, it is an acting showcase with Pacino leading the way in a wonderful performance as the neurotic and delusional doctor. Supporting players are fine as well notably Goodman and Sarandon who never fail to impress, and even Danny Huston, whom I've always liked but never thought of much of as an actor, shows some range while sporting a mop top. Brenda Vaccaro, who is an Oscar nominee I am not familiar with is delightful as well. You Don't Know Jack is not a knockout, but it is still an engaging film worth watching for the performances. The back jacket of the DVD says, "from the producers of Miracle, Invincible, and The Rookie" and like those movies this one features a doggedly determined underdog. 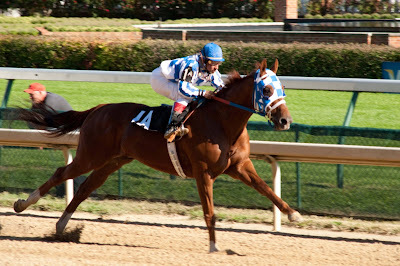 Here the film is called Secretariat, after the horse who completed the astounding feat of winning racing's Triple Crown, but it should be titled Penny Chenery, the name of the woman who owned the horse. After the death of her mother, Penny took over her father's horse breeding farm, as he was unfit to do so due to dementia. When one of her stock, bears a particularly strong colt she decides to race it in order to get the farm out of debt. Secretariat is a movie that strangely reminded me of Ben-Hur in that (now my memory may be clouded on the Heston classic) that the race scene (scenes here) stand our as excellent and all other elements of the story fade in the background. 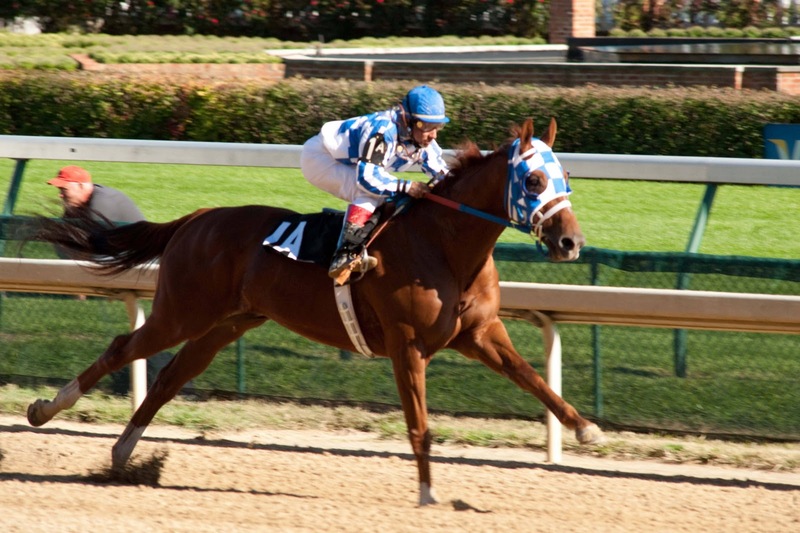 With Secretariat, it is hard to care about the drama (will the bank take the farm?) when we know the outcome of the story (she obviously earns enough to save it). Diane Lane succeeds in the lead, even though her earnestness is occasionally irritating, but i thought the rest of the cast came off as either self-righteous, cartoonish, or cliche. Even John Malkovich as the unorthodox (why are these type of characters unorthodox) does not really hit the right notes (he doesn't have a great script to work with either). I just wanted to add that Margo Martindale, who plays Lane's confidant, is dreadful. The film also has trouble establishing villains in the form of rival horse Sham's owner and, as doubters more so than villains, Penny's brother and husband who think her plans are foolish and threaten to take legal actions to thwart her. With that said I did kind of enjoy this for what it is, a campy corny Disney flick and again those race scenes are so well filmed that they almost make it worth the price of admission. Film Noir is a term coined by the French to describe a certain set of American movies following the close of World War II. These films reflected the feelings of a people thrust into the Nuclear Age and the Cold War Era, and they were films that contained conflicted and imperfect leads, femme fatales, violence, and bleak outlooks and endings. They were cold films and Kiss Me Deadly, one of the later entries in the genre, is downright frigid. From a book by Mickey Spillane, the film stars Ralph Meeker as Mike Hammer, a sleazy private high who handles divorce cases and manipulates his clients. As the film begins, he is driving along the highway when he almost hits a woman in the middle of the road. He offers her a ride and after some conversation, a stop at a gas station, and a roadblock looking for a woman escaped from an institution (guess who it is? ), they are stopped and abducted. After being tortured and the girl having been killed, both Hammer and the girl's corpse are placed back in his car and hurled over a cliff, which he unlikely survives. When he comes to, he launches an investigation into what happened and all the while being warned by ominous foes to back off, it leads him to a mysterious box (referred to as a whatsit) which has nuclear implications and may have inspired Tarantino's similar prop in Pulp Fiction. In many ways. 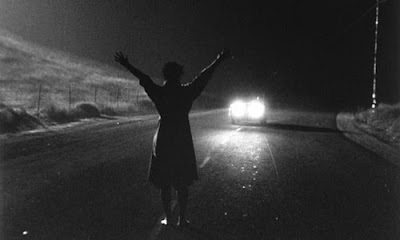 Kiss Me Deadly is a standard detective noir, but in other ways it isn't, such as its previously mentioned nuclear undertones. I was surprised how violent and how harsh the dialogue is (Hammer talks to women as if they were dogs), especially for the time it was released. The direction by Robert Aldrich is great and I loved how the camera moved, even if it was ever so slightly. The film moves fast, and the ending is spectacular. Though the film is filled with excess plot which may be unnecessary, this is a dark film worth seeking out. The title is misleading. Or at least it certainly doesn't apply to most aspects of Uxbal's life. He is currently the proprietor of two enterprises, one where he has African immigrants dealing drugs in the streets, the other of which he is profiting off of the employment of illegal Chinese immigrants. He is also a single father and finding ways to cope with the irrational manic depressive mother of his children who is also sleeping with his brother. And he is dying of bone cancer. There is some beauty (biuty?) in his life and it is with his children whom he holds dearly, and hopes to establish a relationship with, which is something that he never had with his own parents. Biutiful is bleak material and it isn't a shock that it is directed by Alejandro González Iñárritu, whose films are often somber. Inarritu is a director with fine technique who knows how to put a film together, but here again his self-importance gets in the way and the film comes off as heavy handed. This is his first film to be told from a linear timeline and the script seems like it is lacking material. Although it is not a wristwatch checking movie, there is not enough here to justify its 2.5 hour running length, though I could watch Javier Bardem for hours on end. Here, sporting a mullet and looking exhausted, he finds the right notes in what ultimately is a nuanced performance. He carries this bleak film along. From "The General" to "The Lady Vanishes", "Silver Streak" to "Murder on the Orient Express", and "Runaway Train" (the best of the lot) to "Transsiberian" I have always been a sucker for films dealing with trains and Unstoppable is a film that seems to know its trains. It tells the story of a 1/2 mile steamer that gets set on the loose due to "bad luck and human error." After several failed rescue attempts, the prevention of the trains derailment lies in the hands of a young conductor and an engineer on the verge of retirement. I liked how the film used a lot of train jargon that was hard to follow, and only cued us in on the basic need to know. I loved the how the setting of the film, based on a true story, was rural Pennsylvania and we get to watch the locomotive zoom through the foothills of the Appalachians. I am also fond of the cast as well: Denzel being Denzel (a compliment, not an insult) playing the old engineer, Chris Pine of the recent Star Trek, the lovely Rosario Dawson in command at the control center. I also think this is a major success for Tony Scott, an action director whose films often suffer from over-the-top and unnecessary visuals as well as stupid supporting characters. Here all his characters click, and the real star is the train itself and his camera beautifully and crisply captures it as it races towards impending doom. Mike Leigh is a unique director who achieves a unique reaction from his cast. The reaction is that of a cast that is familiar with each other, as familiar as a close knit family, and this effect is said to be achieved by Leigh working with his casts long before the cameras start rolling. Another Year doesn't so much tell a story as much as it observes. Throughout the course of four seasons, we follow Tom (the wonderful Jim Broadbent) and Gerri, a happily married elderly couple and several of the other people who come into their lives--whose existences may not be as happy or stable. One of these people is Gerri coworker Mary (Leslie Manville in a phenomenal performance) who is a mixture of optimism, pessimism, neediness, and hyperactivity. As the seasons progress, Mary begins to wear on Gerri and her family. Others we meet include Tom's brothers Ken and Ronnie, both unhappy in their own ways. There is not much by way of plot in this film and it is hard finding themes, but patient viewers will be rewarded by a film rich with fine performances and observant direction.